During my daily walks this winter, I often searched the stark naked tree branches for interesting patterns to photograph. The lack of leaves revealed this little beauty one day. 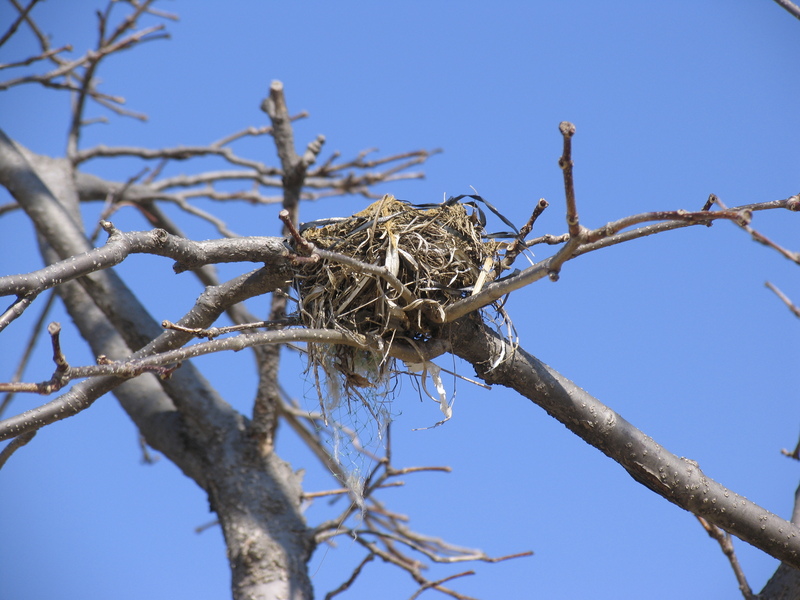 I loved that I got a pretty sky, shallow depth of field, and sharp resolution to make the nest pop out. Word for tomorrow – ORDER. If you prefer to work ahead, see the list for the week under “A Word A Day”.